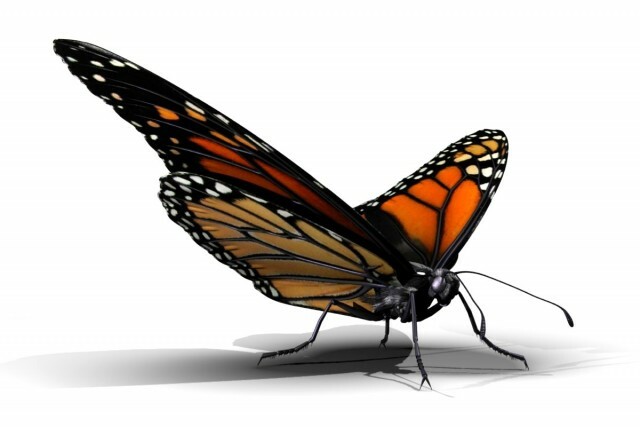 A front view of the fully modeled and textured 3d Monarch Butterfly. You can see the difference between the top and bottom of the wings. In general, the bottom forward wing has darker lines, while the bottom back wing has lighter more yellowish coloring.